So what is Be The Boss? Be The Boss is an American reality show that debuted on December 2, 2012 on A&E. 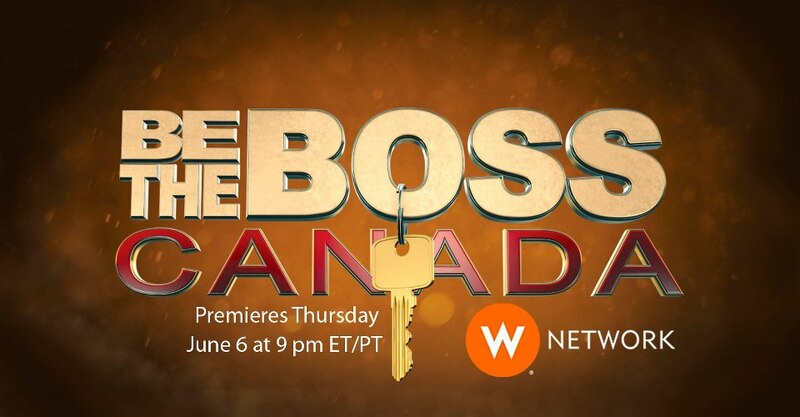 After some great popularity in the United States, the show was brought to Canada in a Canadianized version called Be The Boss Canada. The show pits two employees together in a competition where they think they are fighting for a promotion within the franchise organization. The twist is that both employees are going to win something, but one will walk away with their very own franchise! The bosses of Canada’s biggest pizza chain, Pizza Pizza, give two workers the opportunity to compete for a big promotion. Whoever gets the job doubles their salary. But there’s a catch. As they compete to rise through the ranks, they are put under tight company surveillance and every mistake they make gets reported to head office. At the end of the week, they face a nail-biting final job interview. One will earn the promotion, but the other will be in for an even bigger shock when they are given the keys to run their very own franchise and Be The Boss. Anytime Fitness is the fastest-growing name in the world of workouts and there is lots of opportunity for talent to climb the career ladder. In this episode, bosses put two of their most promising employees through a week-long job interview. They will be tested physically, mentally and emotionally, and when the week is up, one is rewarded with a big, fat promotion. But, in a surprise twist, the tearful “loser” will be in for the shock of their life when handed the keys to run their very own franchise so they can Be The Boss. Bosses at fast-food favorite Pita Pit bring two of their most talented employees in for a meeting that will change their lives. But they will have to complete a series of high-pressure job challenges to prove that they are right for the job. One of them will get the gig – and be rewarded with an attractive salary package. When one surpasses the bosses’ expectations, they will be truly set for life – because they will be handed the keys to their very own franchise and get to Be The Boss. So, this Thursday check out the show on the W Network at 9pm EST. For more information about the show check out their Facebook page (for trailers & other teasers) and Twitter account or follow along on twitter with the hashtag #bethebosscanada. PLEASE NOTE: I was compensated in the form of FREE PIZZA but am writing about it because I really think the show has a lot of potential and look forward to watching.